The trailer for the remake of Point Break has just been released. 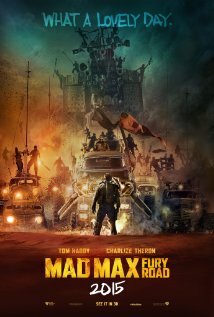 The remake is directed by Ericson Core and stars Luke Bracey, Edgar Ramirez, Ray Winstone and Teresa Palmer. The official synopsis reads: A young FBI agent, Johnny Utah (Luke Bracey), infiltrates a cunning team of thrill-seeking elite athletes – led by the charismatic Bodhi (Edgar Ramirez). The athletes are suspected of carrying out a spate of crimes in extremely unusual ways. Alcon Entertainment’s action-thriller “Point Break,” starring Édgar Ramírez, Luke Bracey, Ray Winstone, Teresa Palmer and Delroy Lindo, begins principal photography today, it was announced by Alcon principals Andrew Kosove and Broderick Johnson. The production will film on four continents, including North America, Europe, South America and Asia, and features stunts performed by the world’s top extreme sports athletes, as opposed to stunt performers. Locations set for filming include Germany, Austria, Italy, Switzerland, France, Mexico, Venezuela, French Polynesia, India and the United States. Alcon will release through its output deal with Warner Bros. Pictures. Ericson Core (“Invincible”) is directing from Kurt Wimmer’s (“Salt,” “Law Abiding Citizen”) screenplay. Ramírez (“Zero Dark Thirty,” “Che: Part One”) stars as Bodhi and Bracey (“G.I. Joe: Retaliation,” upcoming “The Best of Me”) will portray Johnny Utah. In “Point Break,” a young FBI agent infiltrates an extraordinary team of extreme sports athletes he suspects of masterminding a string of unprecedented, sophisticated corporate heists. Deep undercover, and with his life in danger, he strives to prove they are the architects of the mind-boggling crimes that are devastating the world’s financial markets. Johnson and Kosove are producing, along with John Baldecchi, Chris Taylor and Kurt Wimmer. Studio Babelsberg will also co-produce. RGM Media principal Devesh Chetty and investor John McMurrick, Chairman of Marloss Entertainment, will serve as executive producers. Renowned extreme athletes performing stunts in the film include surfers Makua Rothman, Billy Kemper, Brian Keaulana and Ahanu Tson-dru; snowboarders Lucas DeBari, Ralph Backstrom, Mitch Toelderer, Mike Basich and Xavier De La Rue; motorcyclists Riley Harper and Oakley Lehman; wingsuit stunt pilots Jeb Corliss, Jon Devore, Julian Boulle, Noah Bahnson and Mike Swanson; and free climber Chris Sharma, among others. Director Ericson Core, who served as director of photography on such films as “The Fast and the Furious,” will also serve as director of photography. Other behind-the-scene team members include Oscar-winning editor Thom Noble (“Thelma & Louise,” “Witness”), production designer Udo Kramer (“North Face,” “The Physician”) and Oscar-nominated costume designer Lisy Christl (“Anonymous,” “White House Down”). 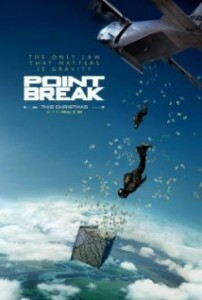 “Point Break” is inspired by the classic 1991 hit starring Patrick Swayze and Keanu Reeves. It is scheduled for release in Australian cinemas beginning August 6, 2015, and will be distributed select territories around the world by Warner Bros. Pictures, a Warner Bros. Entertainment Company. Summary: In this sequel G.I. Joe: Retaliation, the G.I. Joes are not only fighting their mortal enemy Cobra; they are forced to contend with threats from within the government that jeopardize their very existence. Dave Griffiths’s ‘G.I. 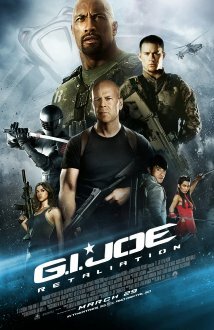 Joe: Retaliation’ Review: Please check Dave’s review of ‘G.I. Joe: Retaliation’ that is available on the Helium Entertainment Channel. Other Subculture Media Reviews of ‘G.I. Joe: Retaliation′: Check Episode #26 of our The Good The Bad The Ugly Podcast for a more in-depth review of ‘G.I. Joe: Retaliation’.